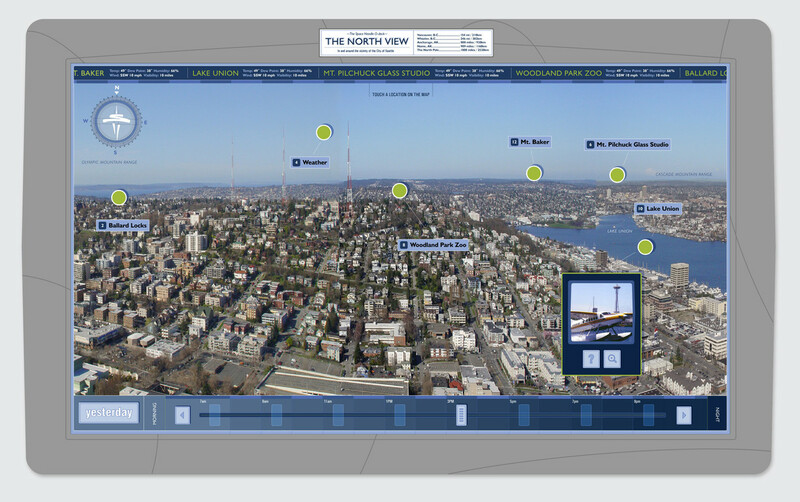 This interactive exhibit was produced by Hornall Anderson Design Works for the Space Needle to act as a pilot for redefining the observation deck experience. 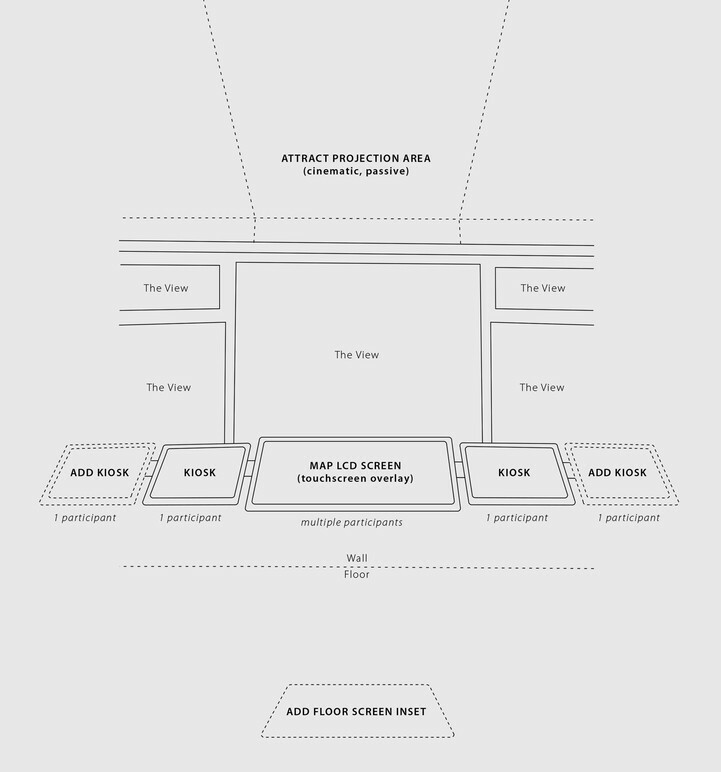 Consoles are designed to attract visitors (projection and audio), engage them with a large touchscreen map, and teach them more with rich media kiosks. Partnerships with Seattle tourist attractions provide content for interaction with remote-controlled cameras, time-lapse imagery, and videos. The team utilized the latest technologies to enhance the viewing experience, including the ability to see perfect views on those commonly cloudy Seattle days.